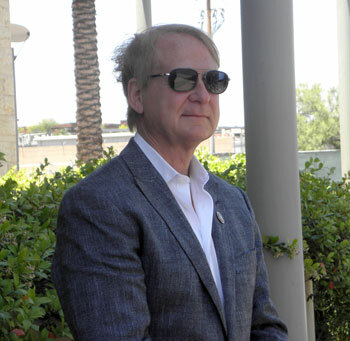 SCOTTSDALE – Attorney Larry Klayman, founder of Judicial Watch and Freedom Watch, held a press conference this week to announce the progress in the case of Citizens to Protect Fair Election Results (CPFER) against Respect Arizona, a group seeking to recall Maricopa County Sheriff Joe Arpaio. CPFER filed the complaint for special action and writ of mandamus in March with an application for preliminary and permanent injunction. Arpaio was sworn in for his sixth term on Jan. 7, 2013 after handily winning reelection in November 2012. Within days of Arpaio being sworn into office, a political group called Respect Arizona was formed for the sole purpose of forcing a recall of Arpaio. After filing paperwork to initiate the recall election process around Jan. 31, 2013, Respect Arizona launched an aggressive campaign to raise money to pay for signature gatherers to collect the requisite 335,317 valid signatures to effect a recall election. The group created a website www.recallarpaio.com for the sole purpose of funding the recall. Arpaio had been in office for six months, as required by the Arizona Constitution. According to Klayman, Respect Arizona wants a do-over because it doesn’t like the election results and it is misusing the recall process to try, without legal authority, to overturn a fair election won by a candidate whose policies they don’t like, as well as collect donations based on false pretences. CPFER claims Respect Arizona is violating citizens’ right to vote, misusing the recall process for fundraising purposes based on false pretenses and obstructing Arpaio’s authority to enforce the laws of Arizona. The group is asking the court to issue a declaratory judgment proclaiming the extra-legal recall untimely, null and void and enjoin the state government defendants from recognizing the recall as legal and to prevent Respect Arizona from proceeding any further with this or any other meritless recall. However, as the brief points out, A.R.S. § 19-202 was not passed consistent with the methods for amending the Arizona Constitution and operates in direct conflict with the law. As Article XXI of the Arizona Constitution provides, there are only three means in which the Arizona Constitution can be amended. The common thread for all three methods is it must be approved by Arizona voters. No such method of amending the Constitution was employed when legislators enacted A.R.S. § 19-202. In fact, it was passed by the Arizona legislature without any sort of voter approval, rendering the law invalid. Rather than A.R.S. § 19-202 facilitating the Arizona Constitution, it directly conflicts with it and clearly impedes the election process. In addition to such abusive recalls violating the constitutional right to vote by Arizona citizens, they cost Arizona taxpayers millions of dollars, as they raise funds for illicit groups such as Respect Arizona. CPFER’s brief not only asks for attorneys’ fees but asks that the court order Respect Arizona to return all the contributions it received under false pretenses. Respect Arizona were to withdraw or be unsuccessful in collecting signatures by the end of May, the case could move forward, since the issue is likely to come up again in the future. He cited Roe v. Wade as an example, pointing out the case still moved forward even though she had already given birth. Klayman said this issue effects all elected officials in the state and should be of great concern to judges, if groups like Respect Arizona can simply recall a judge because it didn’t like a decision he issued without regard to the Constitution. He said the Constitution is clear that one must be in office for a minimum of six months before a recall may be initiated and the Arizona Constitution is the supreme law of the state of Arizona. Meanwhile, Respect Arizona claims to have 200,000 signatures, which is 135,317 shy of the minimum required with only eight more days to collect them.